starting at just 150€ per hour. My name is Alberto and i’m the founder of Sushibar.it, a chain of small jap restaurants. 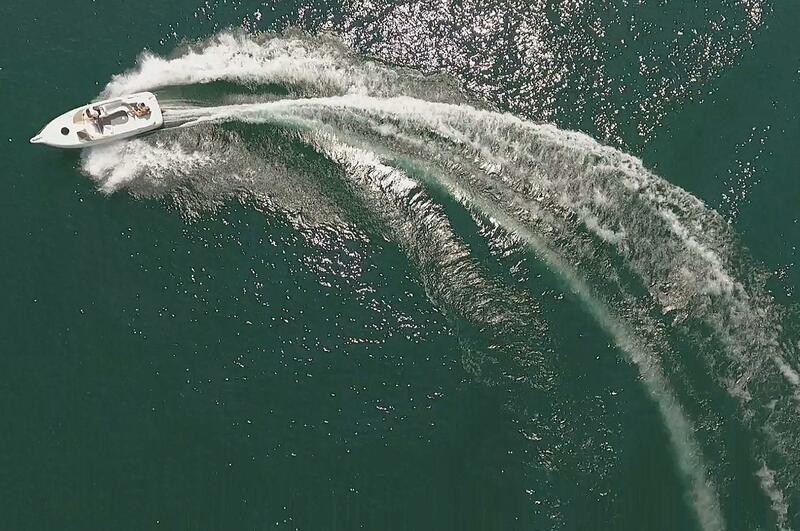 Born and raised on the lake, I now feel I want to go back to living in this beautiful nature, sharing its beauty with all those who want to surf with me. 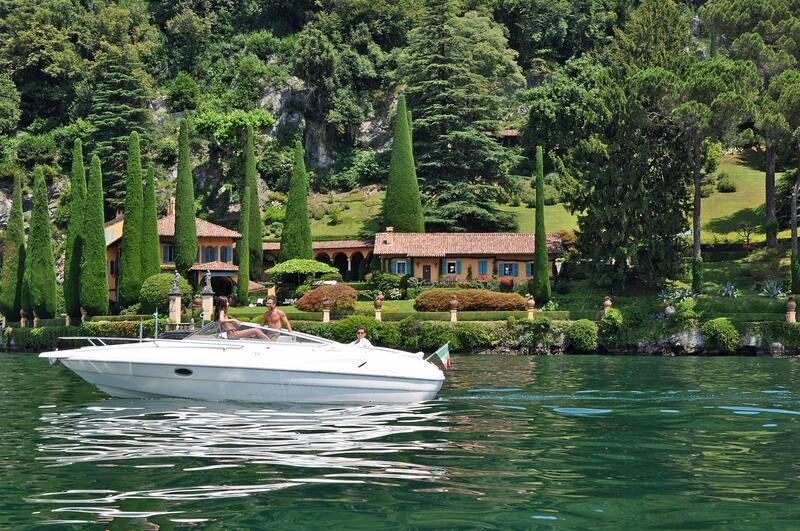 We will start from Como to the most beautiful gardens, villas and natural ravines that the lake will want to give us. 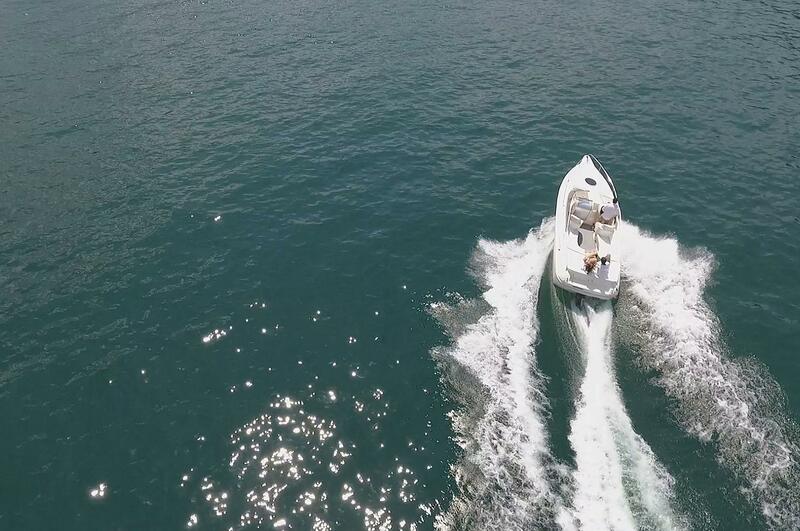 We can choose between established itineraries or surf in complete freedom, take a bath or have lunch in a romantic restaurant, mooring at its pier. 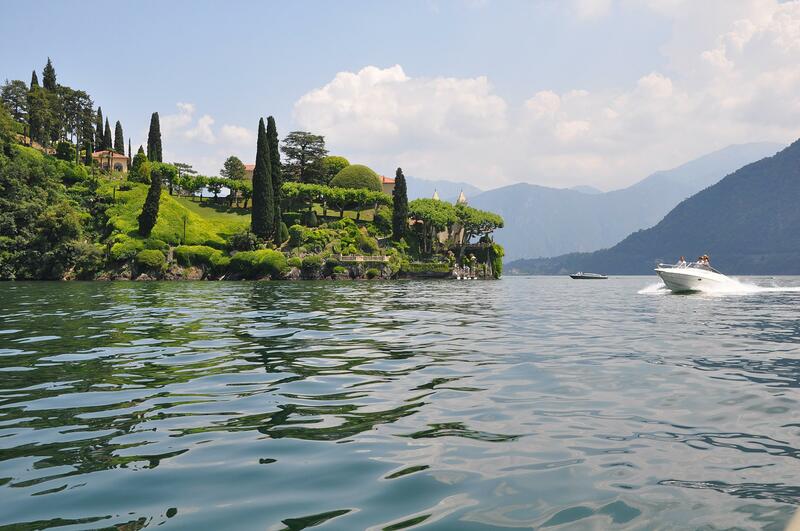 Visit fishing villages or see fireworks, all magically lulled by our lake. 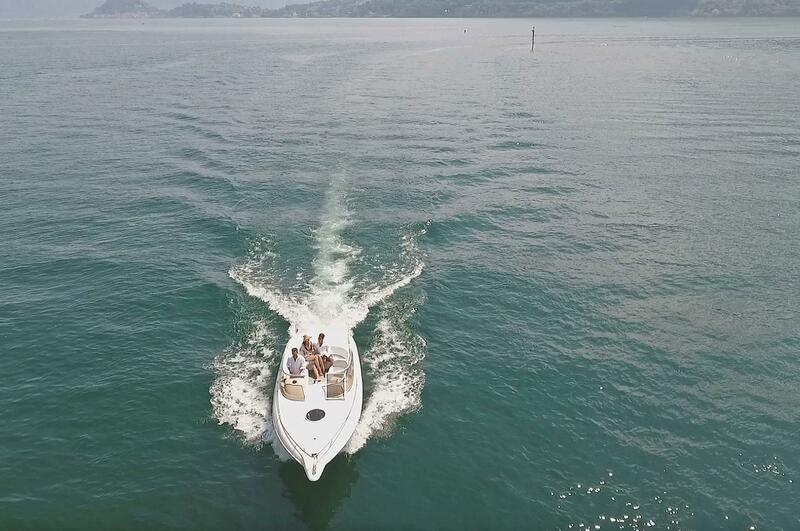 We will live this experience on a Cranchi Turchese 24, a sporty hull with a length of 7.30 m with a powerful and versatile volvo 5.7 petrol engine. 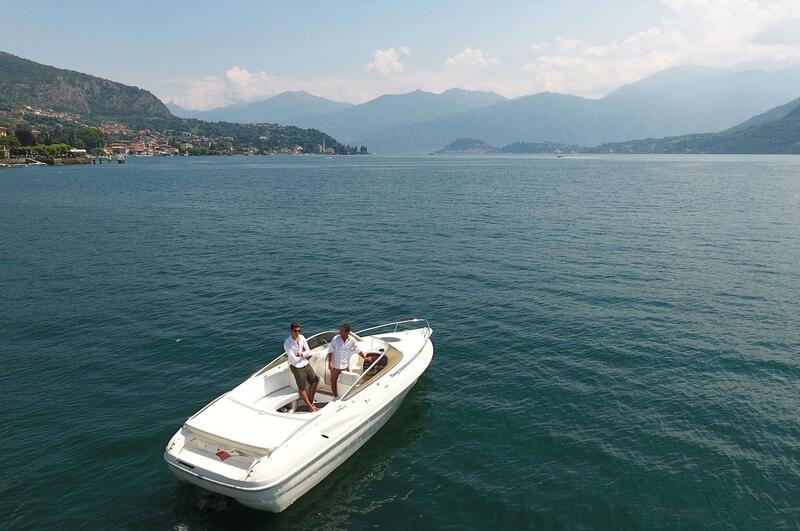 It is equipped with bunk, take sun bow and stern, radio, awning protection, table mountable, minibar and toilet. 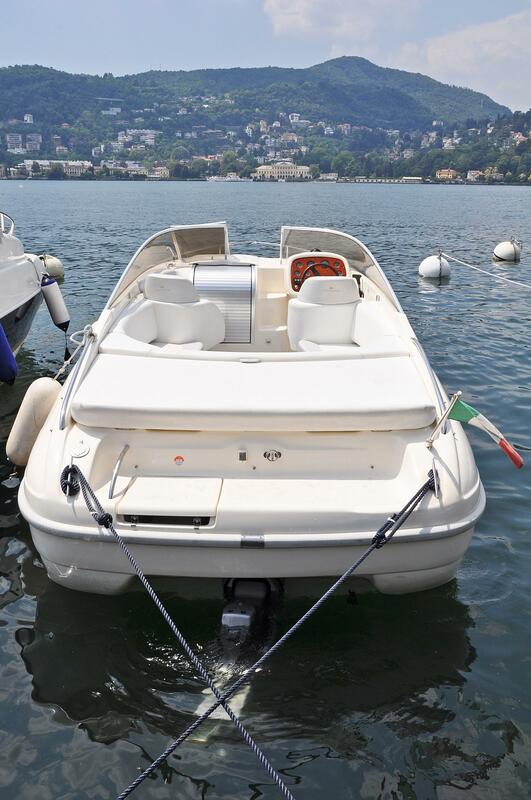 It can transport 6 people over the driver and is moored at the pier of Viale Geno in Como, meeting point to start our adventure, but if you want we will pick you up in the country / hotel that you will select when booking. 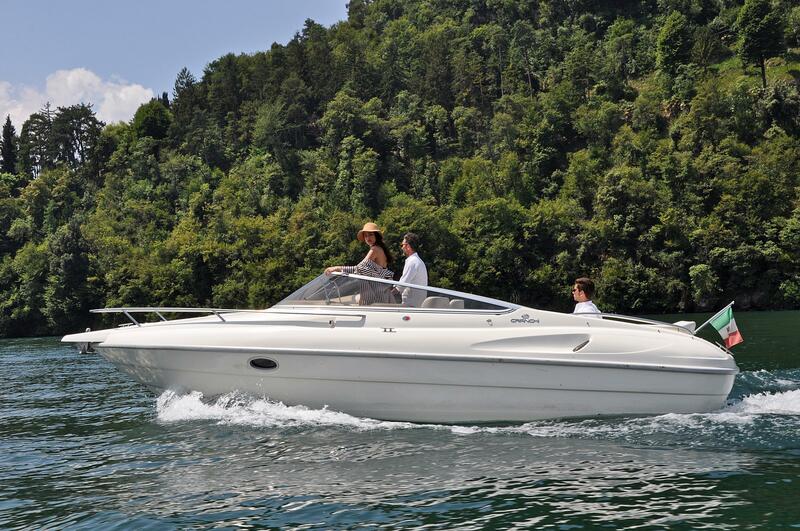 Good navigation, discovering the magical Lake of Como. “I wanna see you…”: Private 2-hours tour. 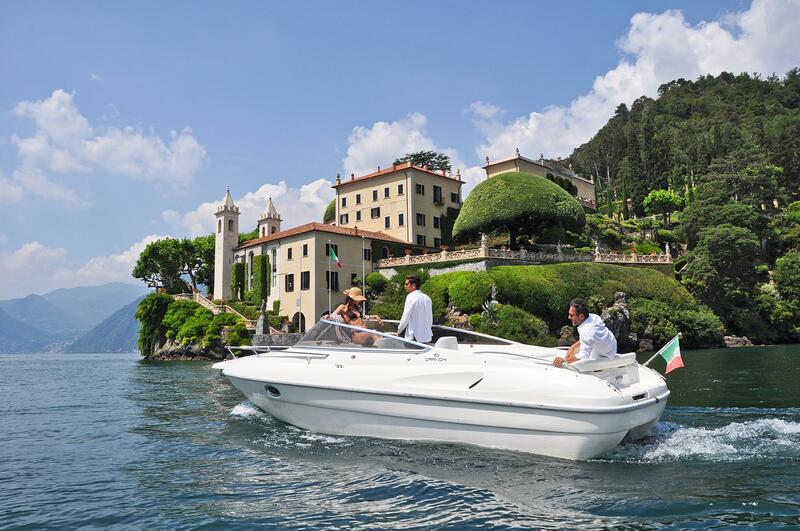 We will start from Como to visit the most beautiful locations of the first basin of the lake: Villa Erba, Villa d’Este, Villa Pizzo, Villa Le Rose (hosted Churchill in ’45), Villa Fontanelle (historic Versace residence), Villa Oleandra (summer residence of Clooney). We will fall in love with the incredible landscape of the Comacina island, and then head to the other side. On the way back, we will visit the Orrido di Nesso: a rocky gorge that with its river falls to the lake above an ancient medieval bridge called “La Civera”. 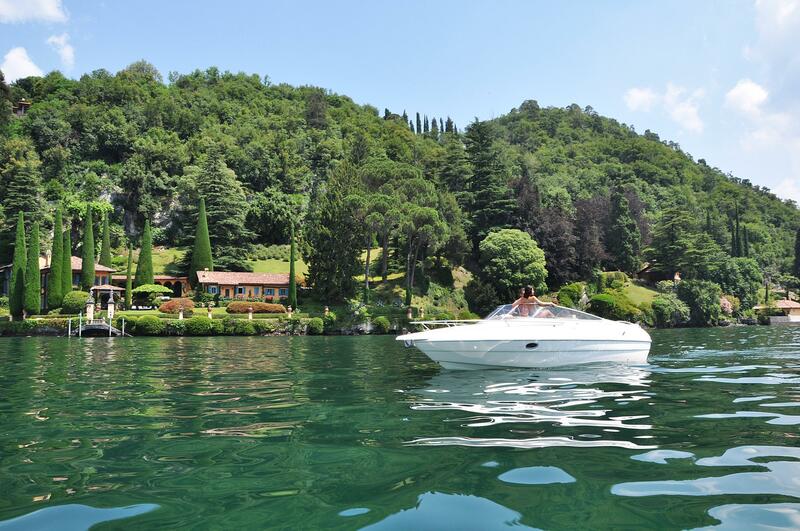 We will then sail to the Pliniana, residence where Rossini composed his Tancredi at the piano and observe the hotels Sereno and Castadiva admiring other incredible residences until they return to the city. “I wanna know you better…”: 4-hours tour. 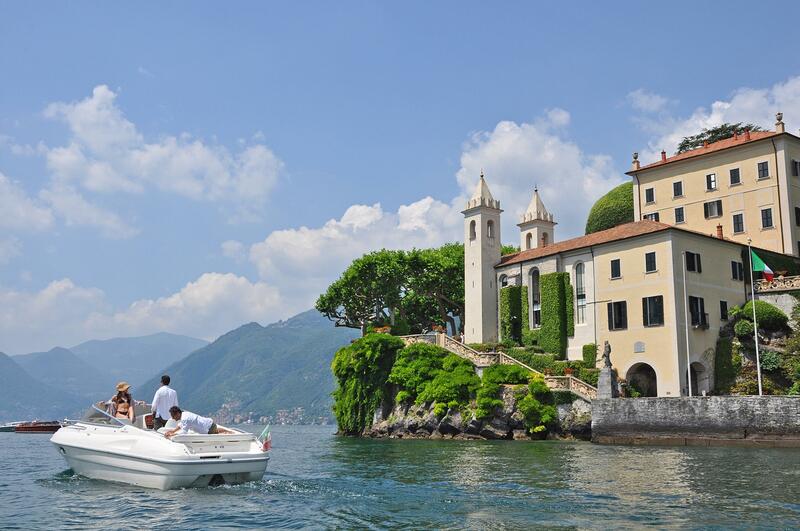 In addition to the tour “I wanna see you”, enchanted by the beauty of the villas Cassinella and Balbianello, we will stop in the latter to visit the beautiful interiors and gardens (famous films Star Wars II and Casino Royale, shot right here). In about an hour, we will be ambled by the stories of a guide, and then relax 30 minutes in the incredible park vegetation. “I want you forever…”: 6-hours private tour. 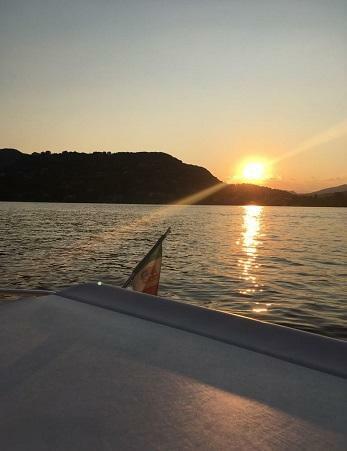 In addition to the tours “I wanna see you” and “I wanna know you better”: We will follow the Villa Carlotta in Tremezzo and cross the shore of the lake to reach the “pearl” Bellagio. 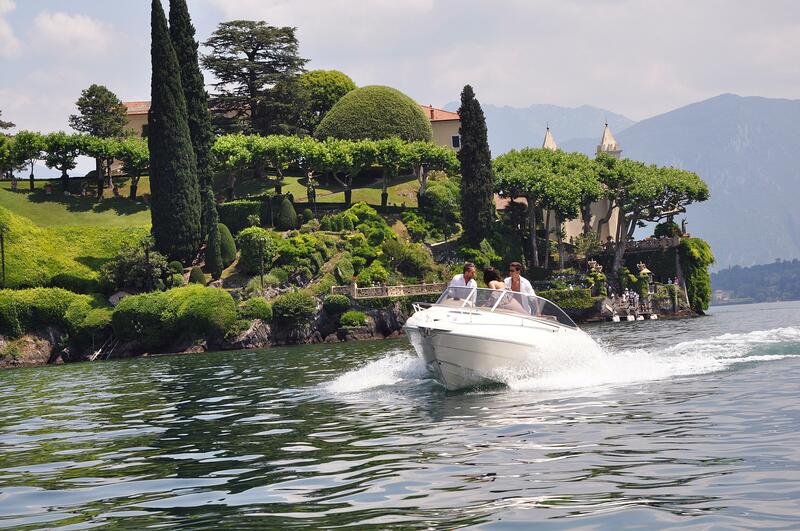 From the boat we will observe the characteristic village that divides the lake from its promontory into 2 branches and its Villa Melzi with its rich park. 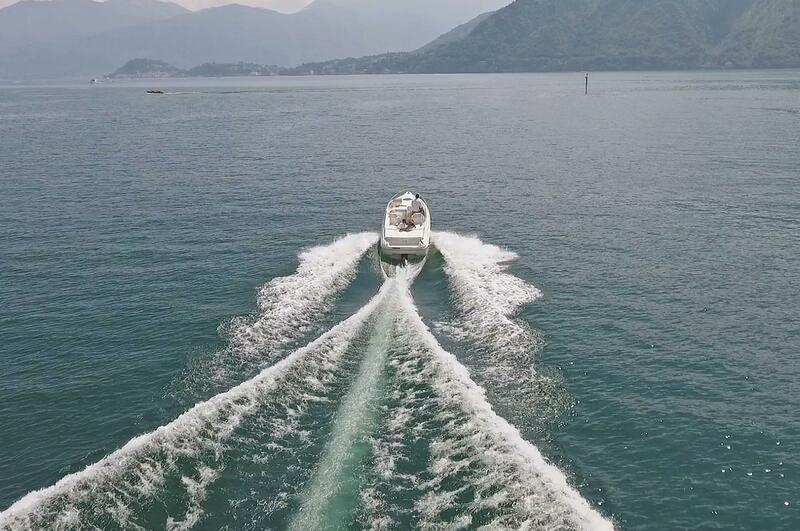 Leaving behind us this beauty, we will sail to the central point of the lake, enjoying the spectacular branch of the water and we will reach Varenna, an ancient fishing village with its villa Monastero. Stop choice, walking through the streets or visiting a house, in one of these 2 beautiful villages. 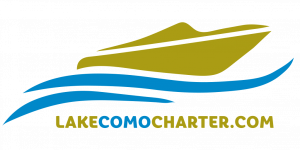 Free tour: Private lake tour from 1 to 5 hours. 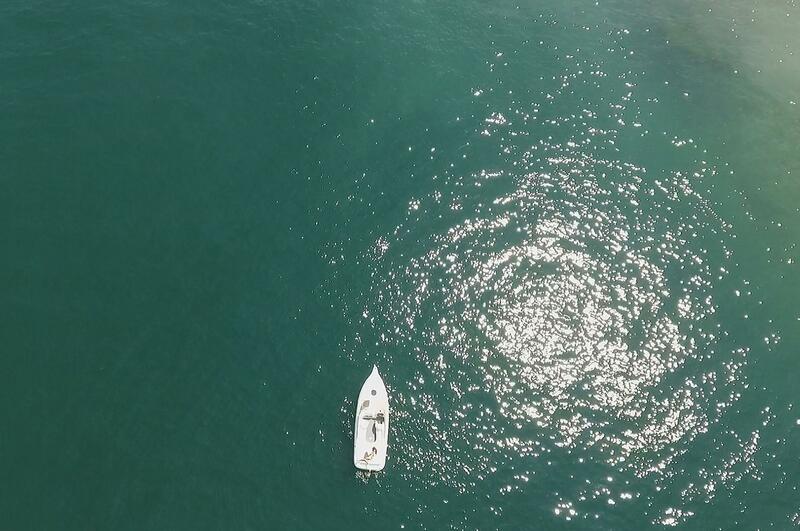 We will sail in complete freedom choosing the itinerary that best suits us, from a simple transfer of at least an hour to a personalized visit with a guide and sushi on board. We will have a fresh bath or enjoy the view, we will decide! SUNSET/APERITIVE TOUR: Tour from 1 to 2 hours. We will sail in search of the sunset, enjoying the last light of twilight, the fresh wind and the calm of the waters. A good prosecco, accompanied on request by an excellent sushi or ashes in a romantic restaurant on the lake. Fires of the island: 4-hours private tour. An almost esoteric trip that recalls the fire for the destruction of the Comacina Island, which occurred in 1169 and commemorated every year the weekend closer to June 24th, with incredible fireworks. 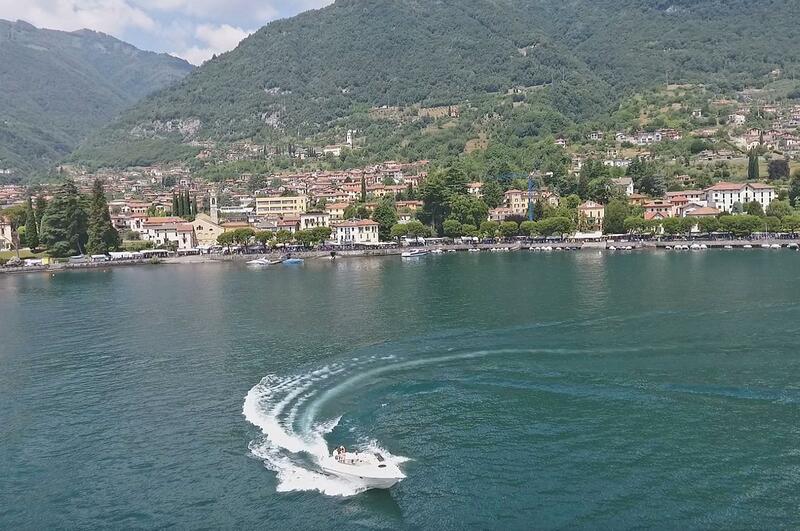 We will leave at 20.00 from Como to the island. 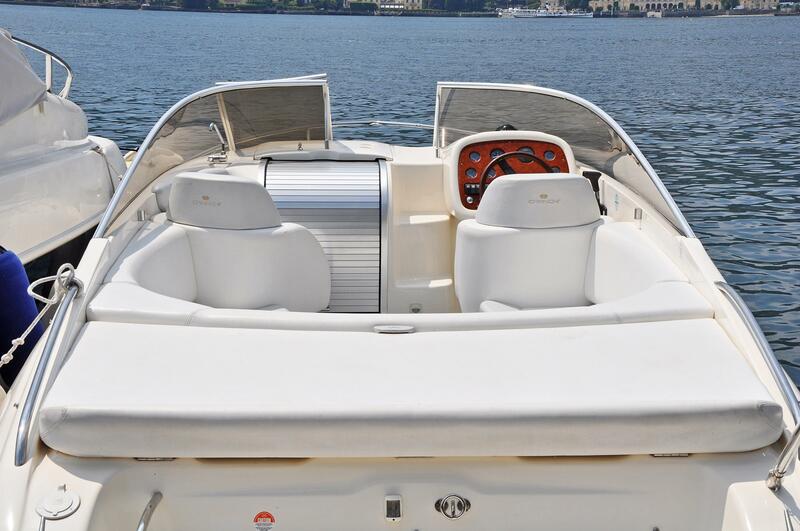 We will have space for a boat picnic or dinner at a local restaurant, subject to prior reservation. 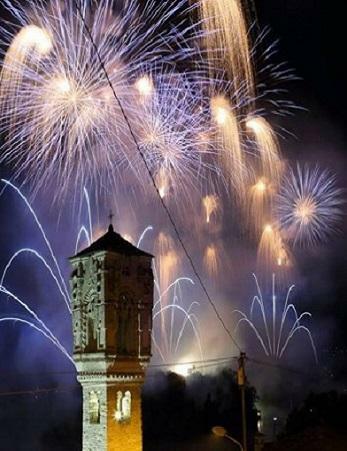 We will live the long fireworks show a few meters from the island and we will return happy in the soul around 24.00. 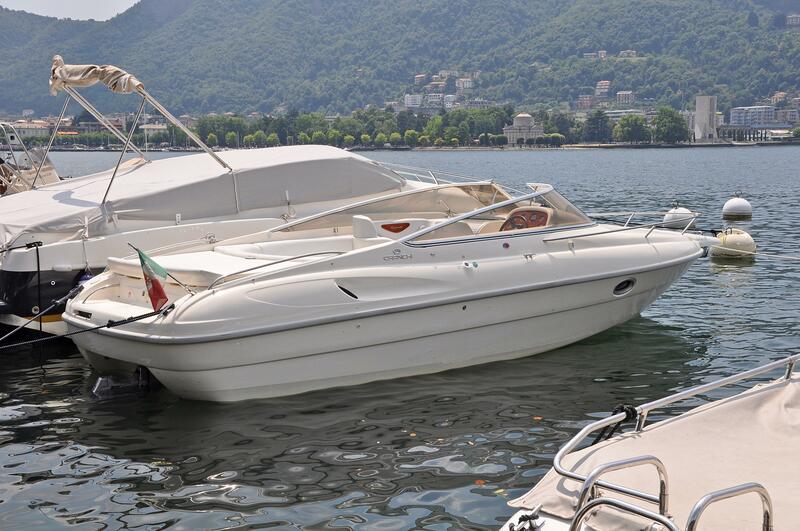 Lake Como Charter is an occasional rental activity with driver regularly registered at the Autorità Bacino Lario and managed by the company Belva snc di Berini & C.